The growing acceptance and demand for minimally invasive procedures are one of the prime factors driving the growth of the medical camera market. Minimally invasive procedures are in demand owing to their reduced post operative complications, shorter duration of stays in hospitals, and reduced medical cost. A large number of both patients and physicians are seeking evidence based treatments. This is pushing the demand for medical cameras across the globe. Medical cameras are used for endoscopy, surgeries, pathology, dental, dermatology, and ophthalmology, and thus, they have become indispensible for modern hospitals and healthcare units. They are also required in life science applications where documentation is needed along with visual study. Thus, medical cameras find applications in biomedical research, microscopy, rheumatology, and lab automation, driving the market. The growing investments in research and development by manufacturers of medical cameras are pushing the competitive level within the medical cameras market. Manufacturers are continuously looking for innovation and concentrating on new product launches by making use of the latest technology, so as to sustain in the competitive environment. This is spurring the growth and progress of the global medical camera market. However, there are several countries, which are not being adequately funded by the government. This has resulted in the stagnation of the growth of the medical camera market in those regions. Moreover, implementation of excise taxes on medical devices in countries such as the U.S. is also predicted to hamper the growth of the market in the coming years. The global medical camera market is expected to continue to witness a high growth in the coming years on account of their ability to make accurate and appropriate interpretations while diagnosing a patient. Medical cameras have become an indispensible tool for doctors to diagnose and treat a disease and this will ensure the growth of the market in the coming years. in addition to this, players are consistently coming up with new products incorporating the latest technology and this is slated to drive the market towards growth. Estes Park Medical Center has recently upgraded its diagnostic imaging department with high-resolution room-based and portable digital radiography systems from Carestream Health, which is one of the leading manufacturers of medical cameras. Such up gradations by hospitals with latest technology medical cameras will drive the market. On the basis of geography, the global medical camera market is led by North America and will continue to do so in the coming years. The high prevalence of diseases such as cancer and a rise in the geriatric population are fueling the demand for medical cameras in this region. Asia Pacific is also anticipated to witness a high growth in the market in the coming years. 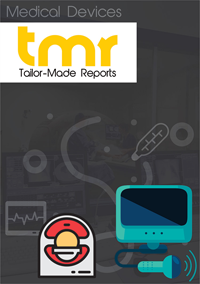 The countries such as China, India, and Japan are witnessing a rise in the healthcare expenditure and also a growth in the awareness level, both of which will help push the market for medical camera in Asia Pacific, making it the region exhibiting the highest growth in the coming years. Japan is expected to provide immense opportunities for players to grow in the medical camera market. Some of the leading players operating in the global medical camera market include Olympus Corporation (Japan), Hamamatsu Photonics K.K. (Japan), Sony Corporation (Japan), Stryker Corporation (U.S.), and Carestream Health (a subsidiary of Onex Corporation (Canada).